NSF Upholstery is proud of its growing reputation for repairing and restoring vintage furniture to the delight of its customers. "I appreciate the fantastic job you have done restoring our set of six dining chairs. They look and feel fantastic. And your choice of fabric for the seats and backs is perfect - better than the original." Fully qualified and with over 30 years experience, you can trust Norman and his team to use their expert furniture knowledge to offer you the best advice and solution to all your furniture repair, recover or restoration projects. 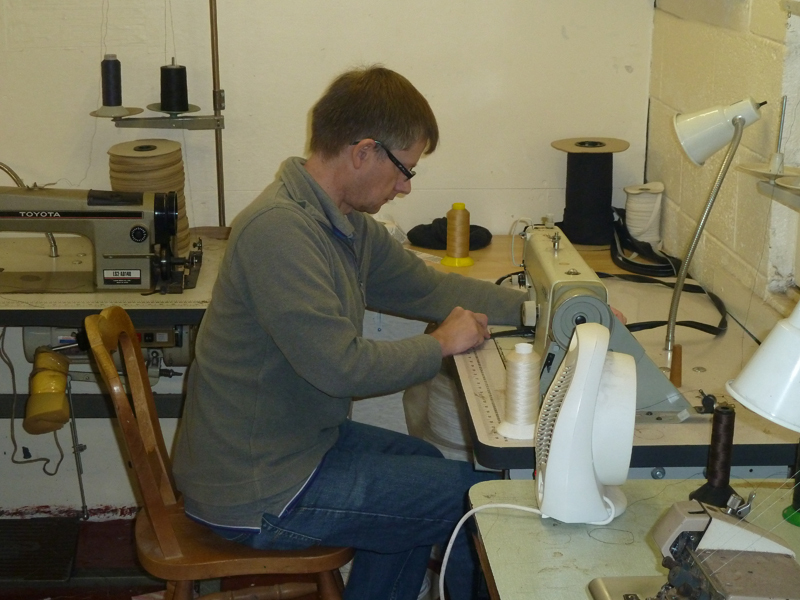 As a qualified upholsterer with over 30 years experience, Norman Forsythe offers beginners’ and advanced upholstery training courses. Learn how to upholster and restore vintage furniture in a fully operational upholstery workshop. As a skilled traditional craftsman, Norman is able to work with you to design and build exquisite items of custom furniture. Recent projects have included sofas and chairs covered in Kilim fabrics. 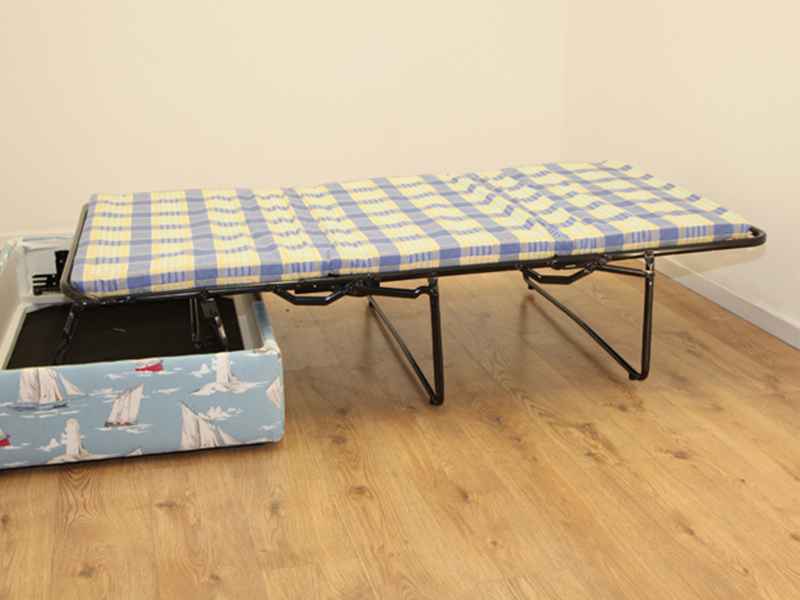 From the workshop and base in Manchester, NSF Upholstery can usually carry out furniture repair, recover and restoration work in homes throughout the United Kingdom. 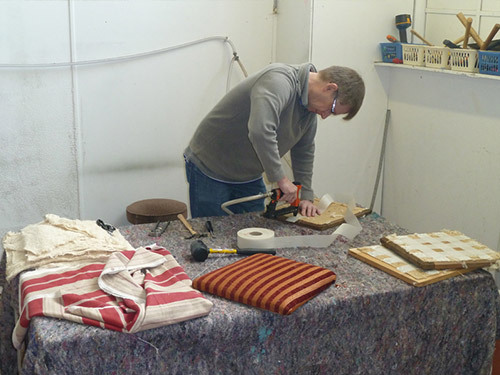 Norman offers advanced evening classes in furniture making and upholstery. 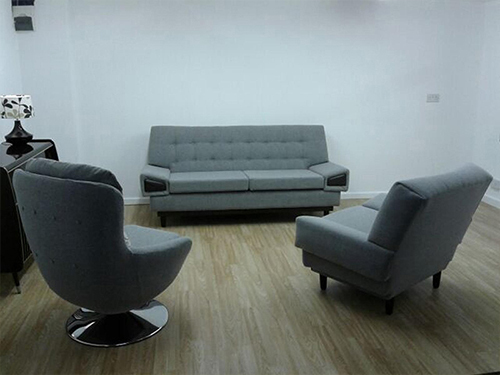 NSF Upholstery will custom design and create upholstered furniture exclusively for you. 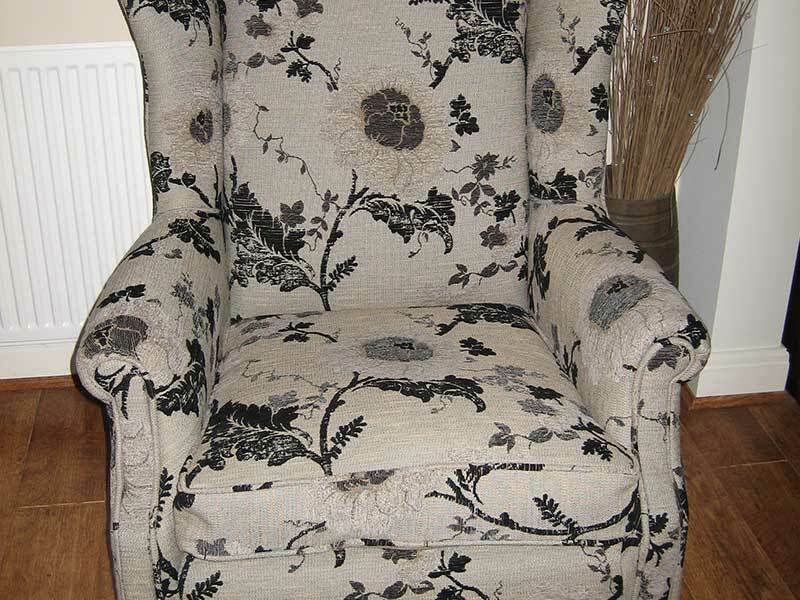 A choice of upholstery workshop classes; restore or make your own shabby chic furniture. 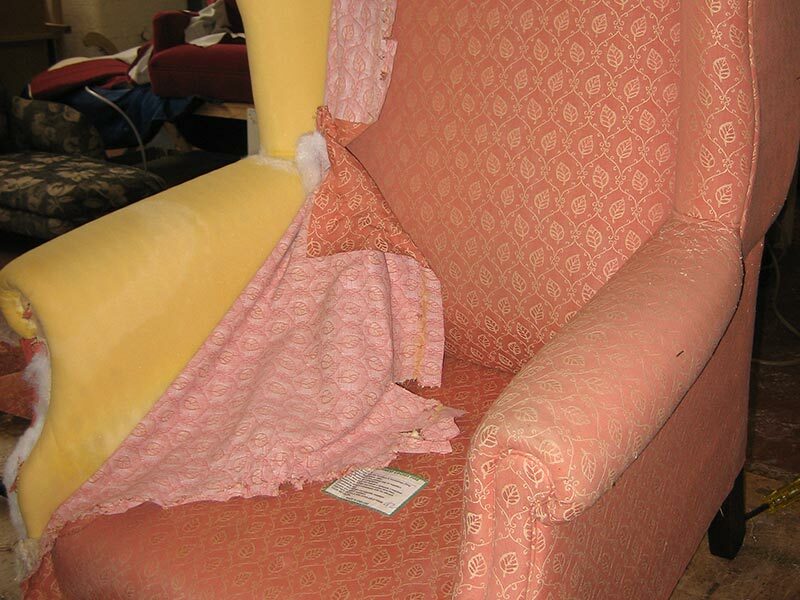 Furniture Upholstery can often be repaired even when at first glance it appears to be beyond help. Our craftsmen know how to remove pet stains, ink marks, sweat stains, hair dye stains and many more! Stains and tears in leather sofas and chairs repaired. 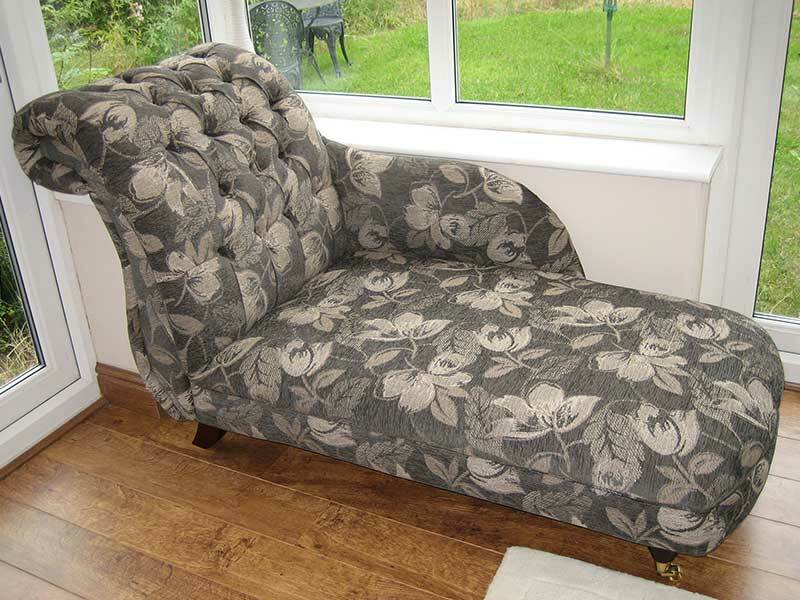 We can re-upholster any item of furniture large or small. 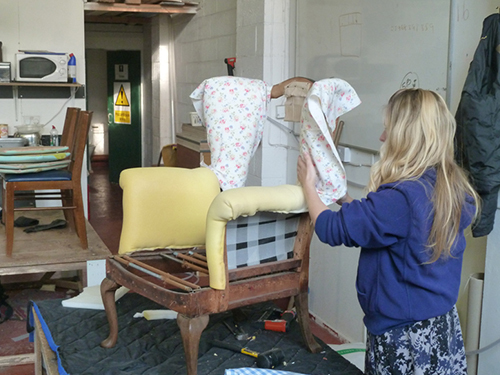 Our classes provide the skills needed to restore or create your own shabby chic furniture! 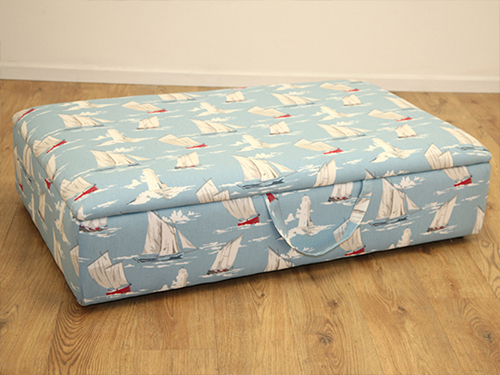 If your seat cushions have gone a bit flat or lumpy re-padding can bring them back to life! 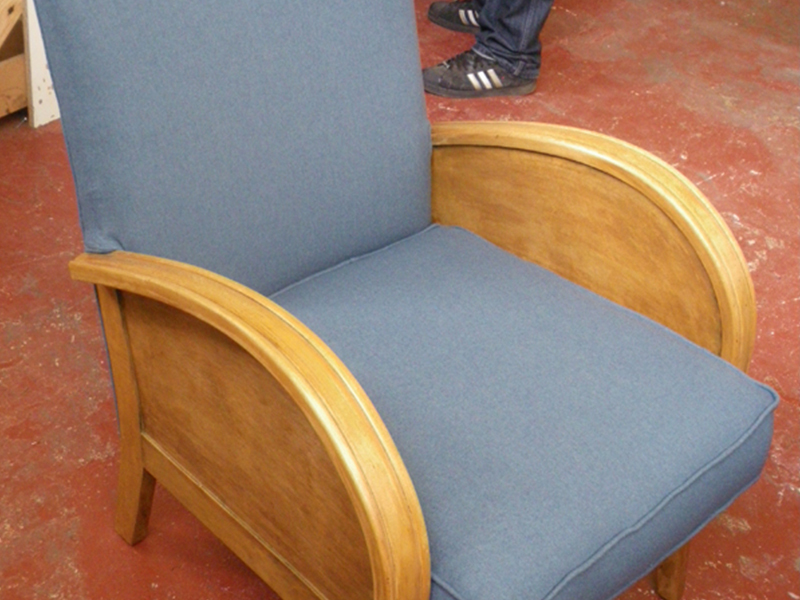 Here at NSF Upholstery we take great pride in restoring treasured vintage furniture.